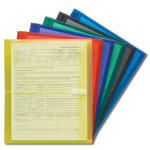 Prevent document damage from accidental spills with envelopes made of polypropelene. 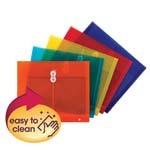 Smead poly envelopes are also tear resistant to stand up to heavy use and acid free to prevent document deterioration over time. Pick the color, closure style and expansion width that works best for you.